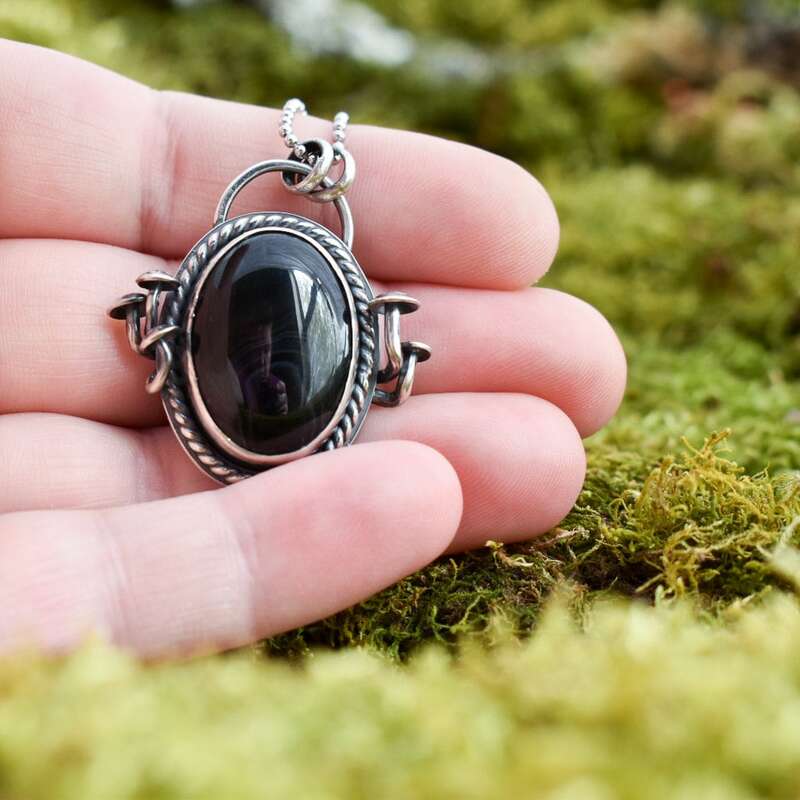 "The woods are lovely, dark, and deep." 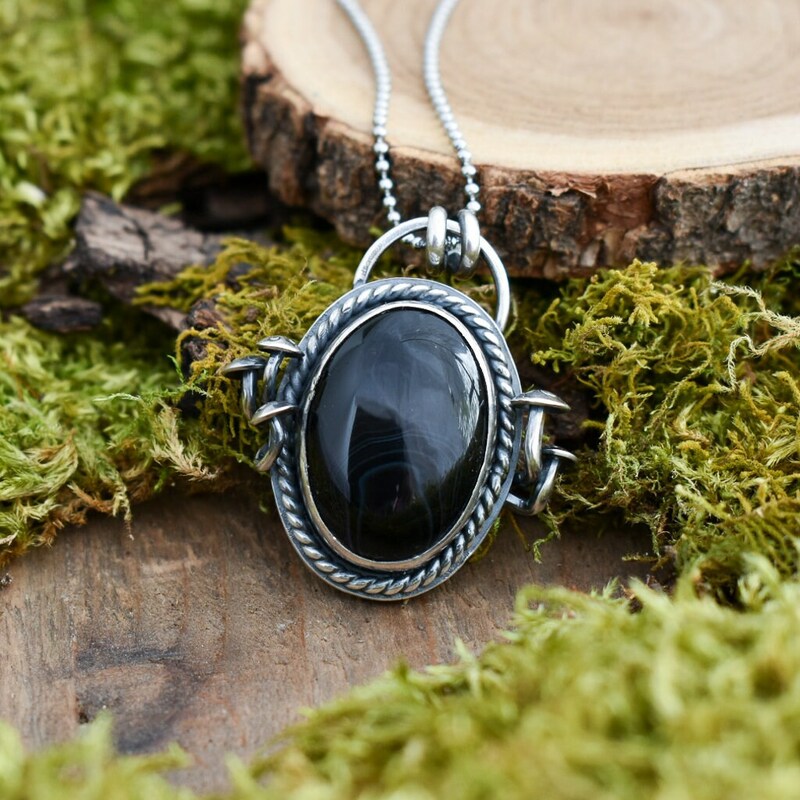 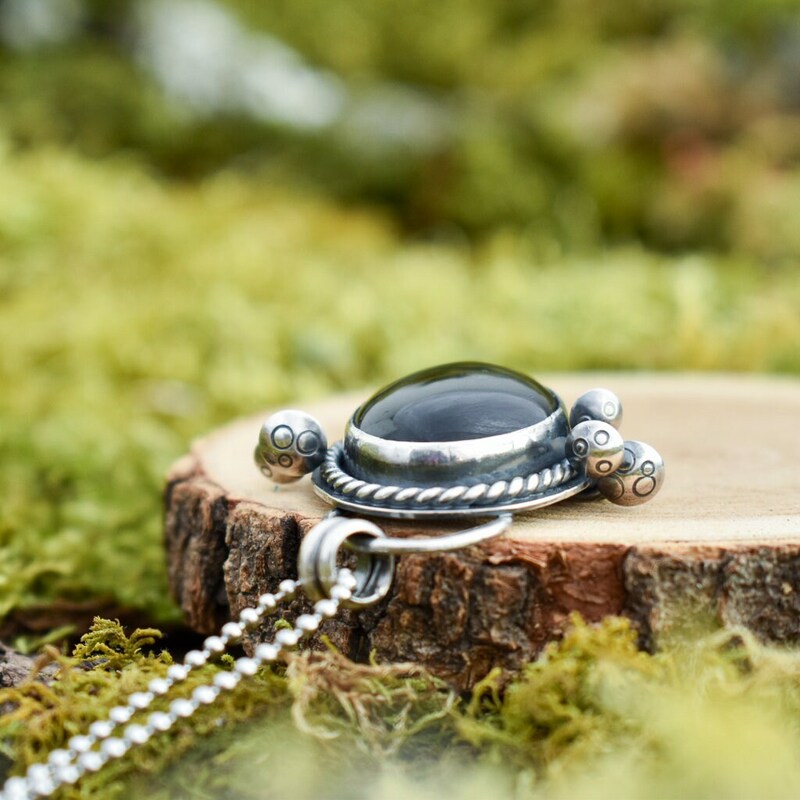 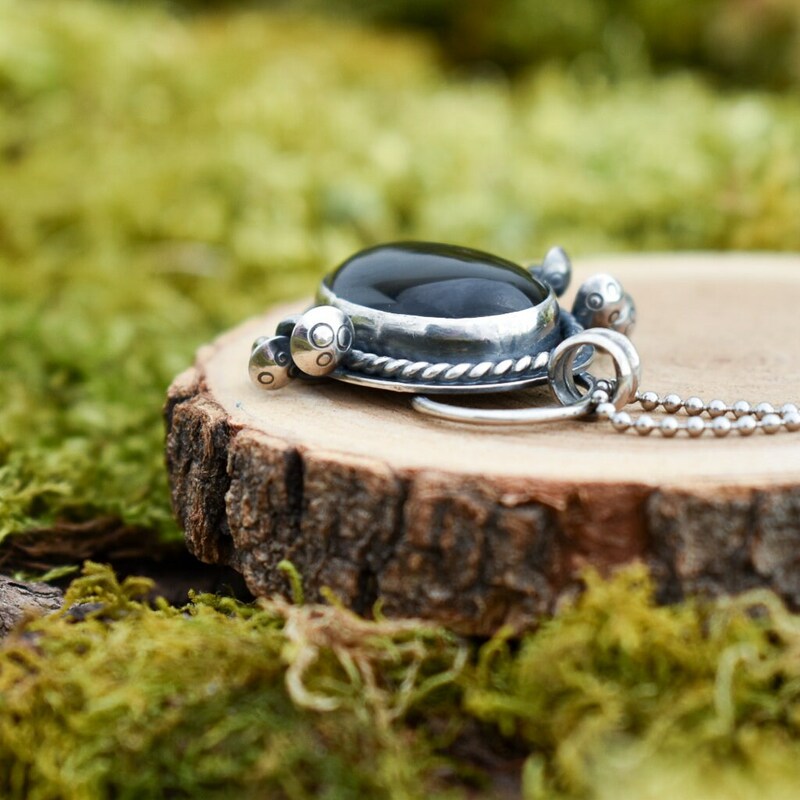 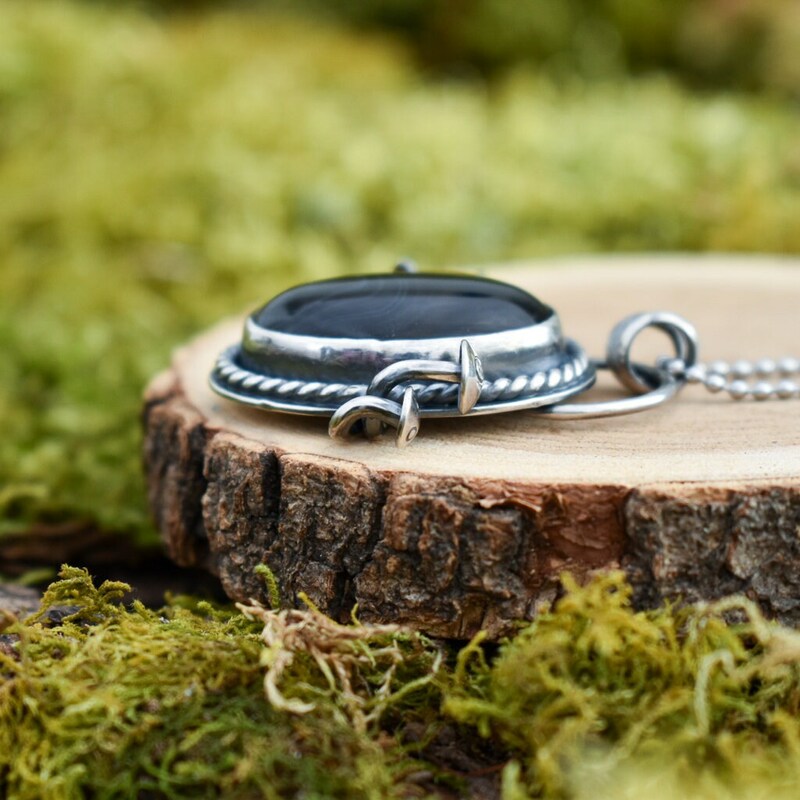 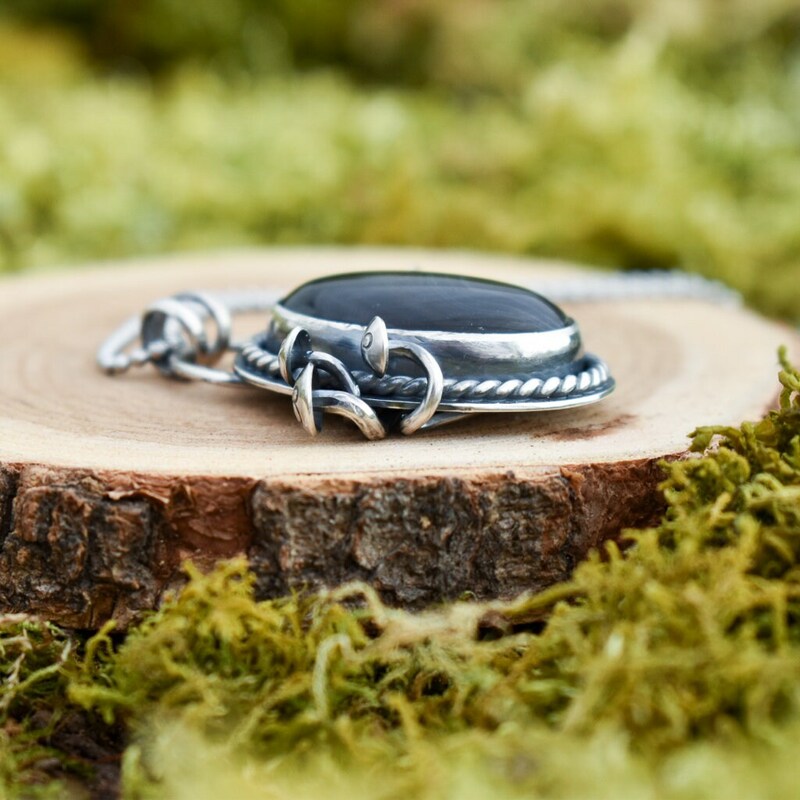 This pendant features five mycena mushrooms growing from both sides of a piece of a classically set black onyx stone. 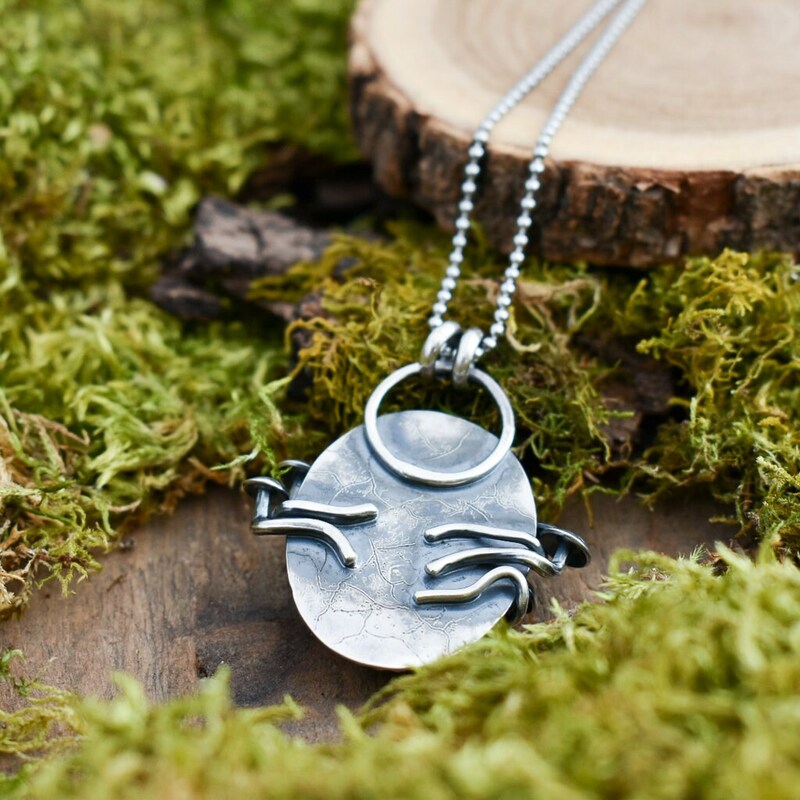 The back of the pendant has a hand etched mycorrhizal network extending from each mushroom.